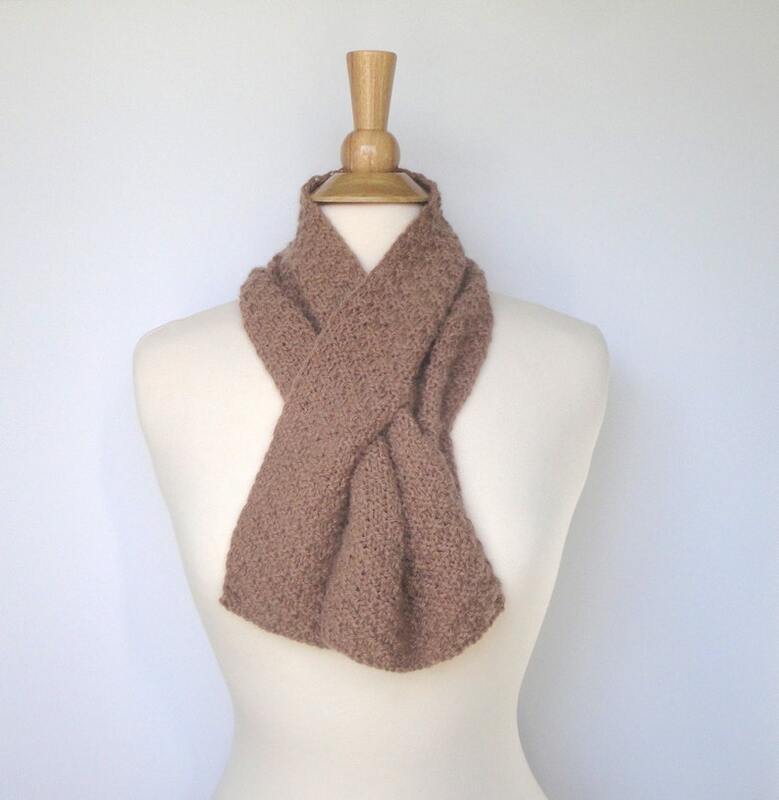 Brown keyhole scarf, making a great neck scarf with the stay-put "pull through" style. Hand knit in a textured stitch in a wonderful angora and merino wool yarn that is very soft with a light, fluffy texture. Color is a natural brown with a warm undertone. Angora is very light in weight and also very warm due to the hollow fibers from the angora rabbit. Note: angora can become statically charged causing the fluff to stand on end. You might feel it puff up in a static-y vehicle or when too close to a computer, etc.